Wessex Dry Cleaners has been at the same location on Rolle Street ever since it was established over 50 years ago. 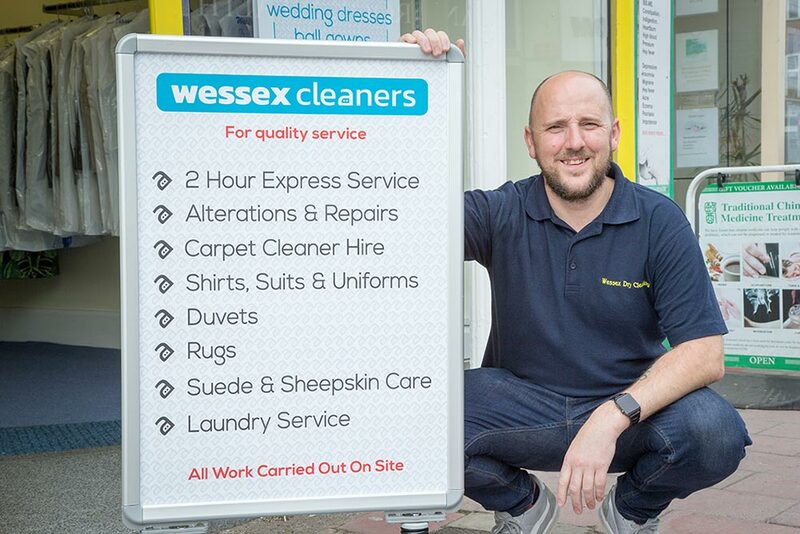 Although the High Street has changed throughout the years – shops have come and gone, fashions have changed – one constant has remained: the quality of clean offered by Wessex Dry Cleaners. In May 2018, Paul Wright bought the Exmouth dry cleaners and has since embarked on a new era for the long-established high street name. Paul’s goal is to keep providing the BEST customer service in the industry whilst delivering quality cleans on a full range of garments, all hand finished, all inspected for quality and all with a guarantee of delivering what was promised. We provide FREE second cleans if we are not happy with the first. Paul’s range of special offers includes discounts and deals for local businesses and the Military. He is committed to offering a fair price for all cleans. See full price list here.